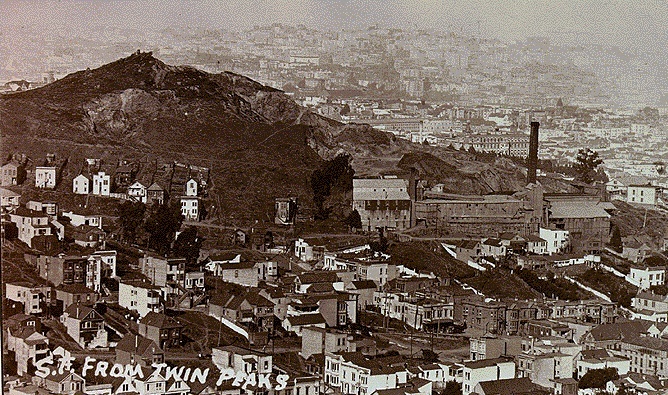 1880 View across upper Eureka Valley towards Mt. Olympus. Gray Brothers Corona Heights Quarry and Brick Factory on south slope of hill. The Gray Brothers gained some infamy in turn of the century San Francisco, for they also operated destructive, noisy, dirty quarries on Telegraph Hill and at today's 30th Street and Castro. 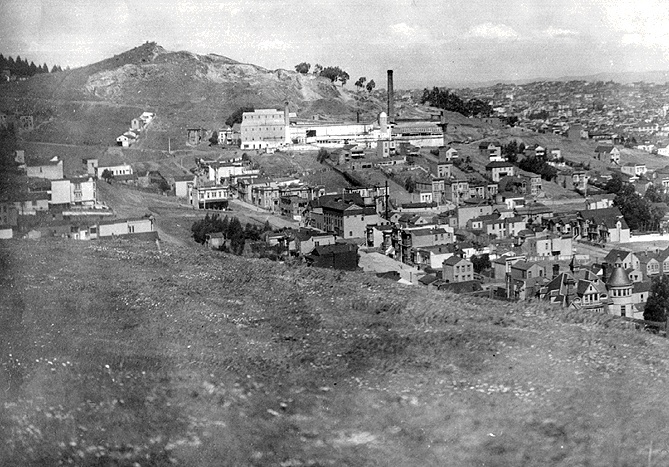 The Gray Brothers Quarry and brick factory on Corona Heights above bucolic Eureka Valley established in the 1890s. All this territory was once part of Rancho San Miguel. 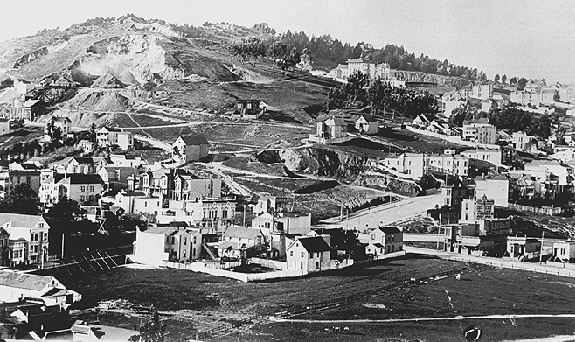 By 1899, they had removed tons of rock and produced tens of thousands of bricks, creating the blasted landscape at left (seen from the hill between Eureka and Noe Valleys just west of Dolores Park). The Gray Brothers also quarried Telegraph Hill and Billy Goat Hill above Noe Valley. 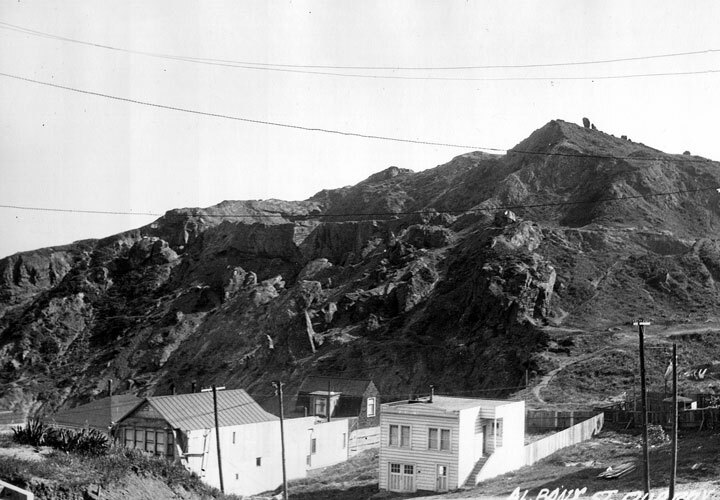 Corona Heights from the north, looking south, 1926.